We are not accept the international shipping . However, it is possible to delivery overseas,by the following way. You need to use the package forwarding service for receive our goods.Your purchase will be shipped with a company （in Japan） of the package forwarding service. The company　handles all the international shipping for Yawahada customers. ※ Please make sure to select EMS (International Courier Post) for shipping method when that company asks you how you want your purchase to be delivered. There are more options for shipping methods (ex. AIR, SAL, and Surface), but those take much longer to deliver and the expiration date might come even before you receive your package. ※ Unfortunately, we cannot guarantee the quality of our products in HOT climate. All of our marshmallows are temperature sensitive and hate sitting in hot places too long. If the average temperature is around or over 27℃/80°F in your region, please keep in mind that there is a possibility that the marshmallows get really soft or melted even before you receive the package. Please order accordingly. 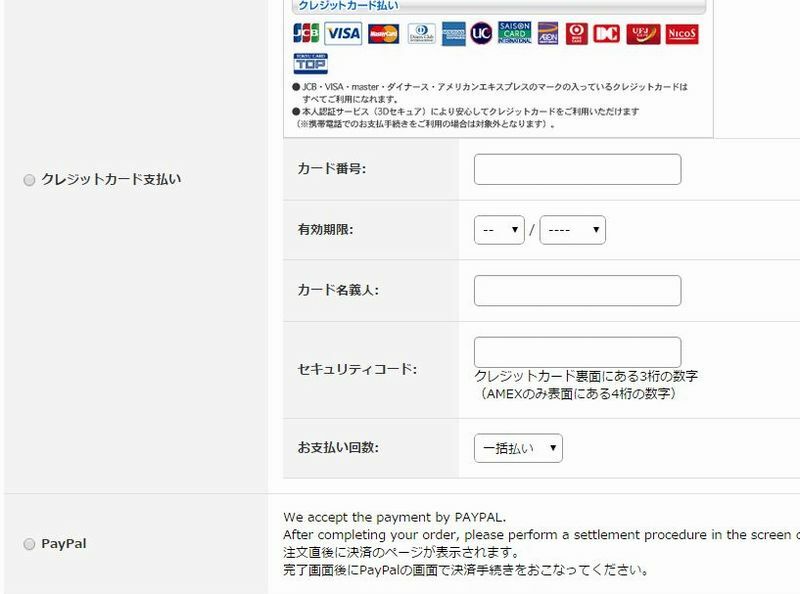 ※ Because we ship our items to a courier service in Japan before they ship internationally, PayPal services outside of the Asian region may not allow you to complete your payment. If you try and cannot pay with PayPal, please place the order again with credit card. Examples of companies that are doing the package forwarding service are the following . You need to register the customer information to the company that you choose. 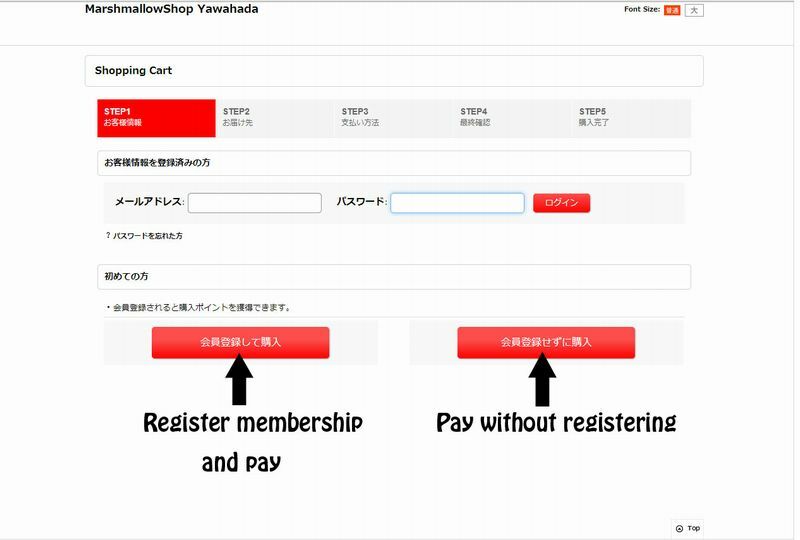 The company will then provide a Japanese address required when you enter the information in our site . We sends it out to the company. After that the company send you an email. However, we do not know when the company ships it out after our goods have arrived at the company. If you do not receive email or the goods , please contact that company first. On the shopping cart page, you can change the quantity or remove items from your cart. 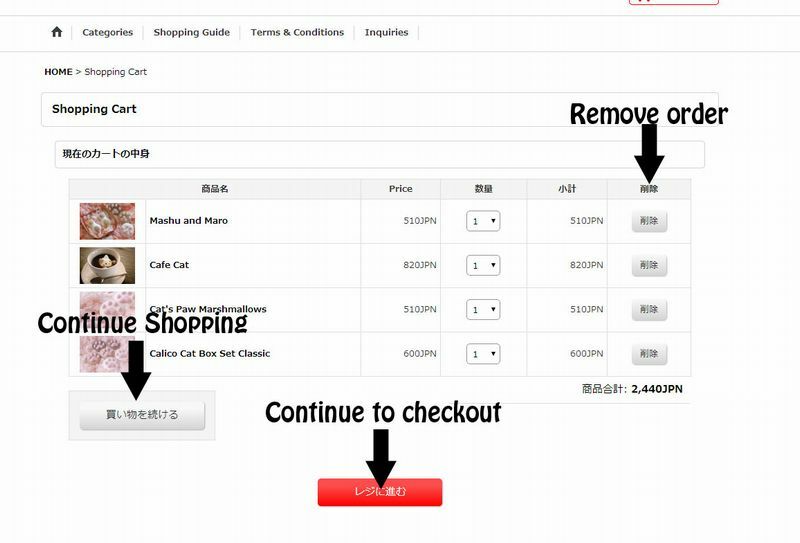 When you are satisfied with your cart, click the red button below to proceed to checkout. On this page you can create an account for our website. You can checkout without registering membership. If you would like to save your information for future purchases, please create a login ID and password here. Input your information here. 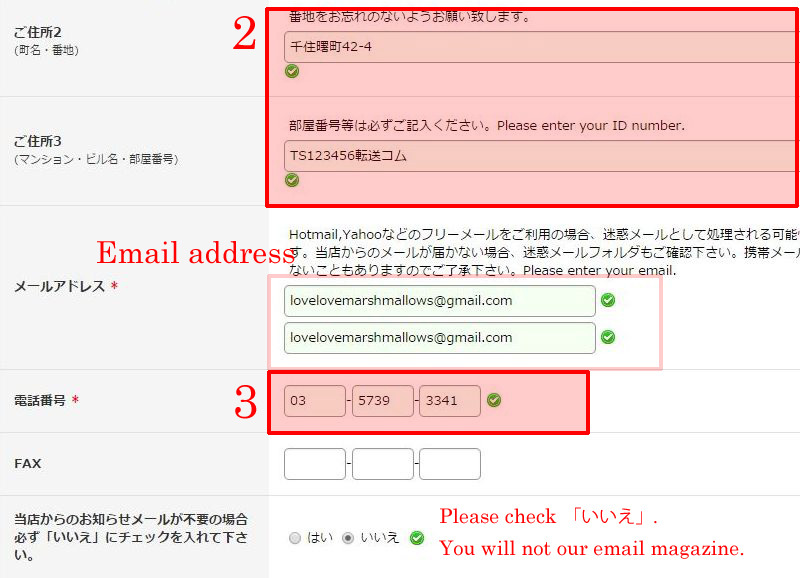 You should have received an e-mail fromTenso.com with their address. Place their postal code in box #1. Proceed directly to box #2 and paste the street address sent to you. 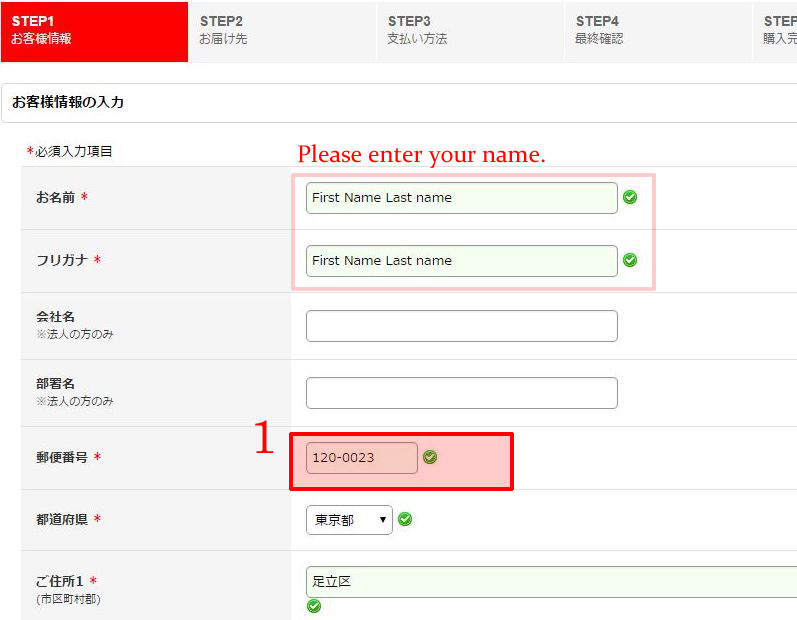 Include your Tenso ID number in the last address line. In box #3, input Tenso's phone number. Click the red button to proceed. Step 2: Check the content of your order. Press either the credit card or PayPal radial and continue to the next step. 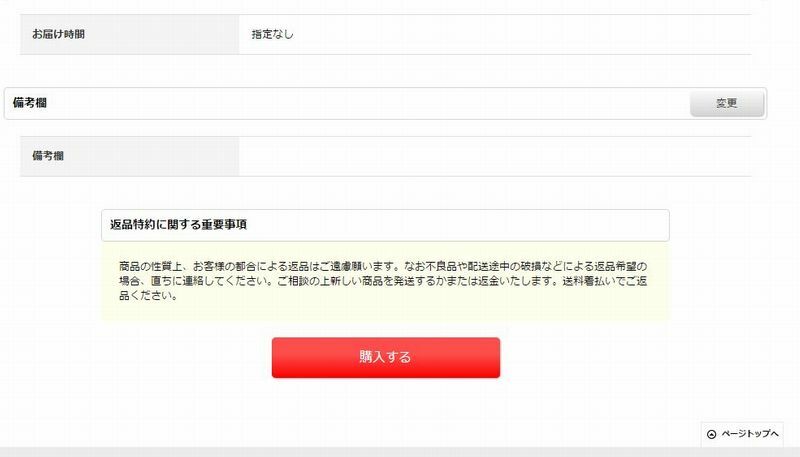 お支払い回数 = This option is available only for Japanese credit cards. Step 3: Check the content of your order and your personal information one more time. If everything is correct, click the red button to proceed to the final screen! 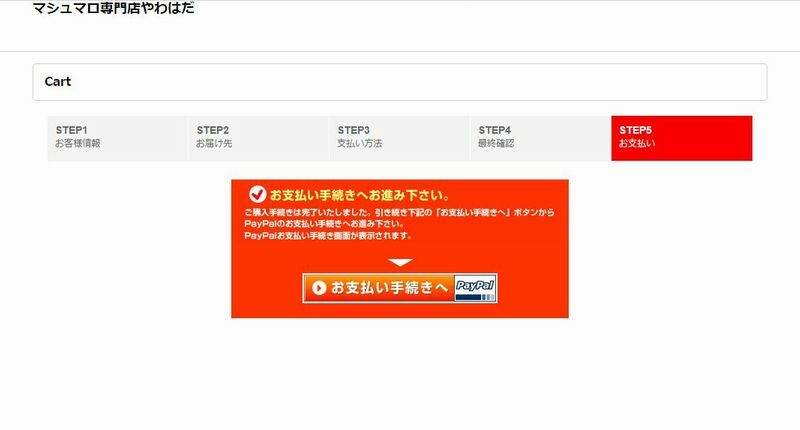 Step 4: If you choose Paypal paymaent,click the Paypal payment banner to pay for your order.Please do not leave the payment page until you have completed your payment!